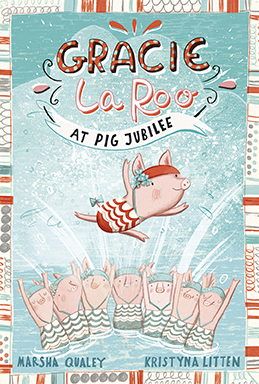 She is a dazzling, talented, 'pig-tastic' synchronized swimmer! And her books needed a feminine, yet fun illustration style that match the stories. After a vast search, I found the perfect illustrator and together, we created a book that is by far my favorite to have ever worked on. I truly hope that Gracie does very well.